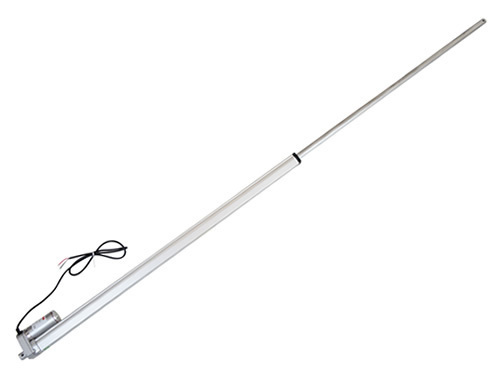 The GLA700-N model is a long-travel yet compact-bodied actuator with a stroke length of 800mm (31.5"). 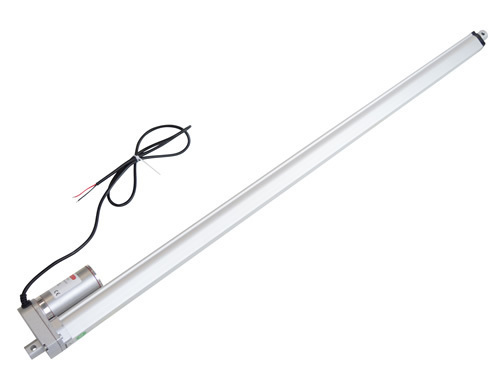 Typical applications include automating greenhouse windows and skylights, as well as access hatches and furniture. Each actuator may provide a pushing or pulling force of up to 700N* (71kg, 157lbs) and a travel speed of up to 13mm/s when under no-load. 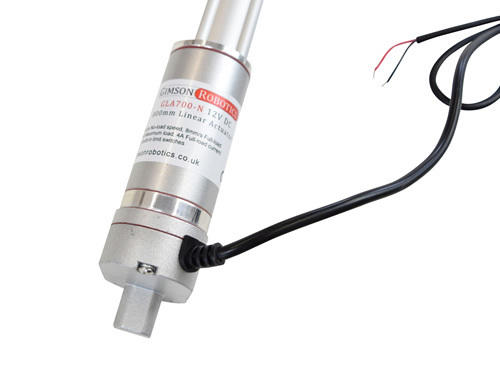 You may recognise a similarity with the GLA600-S model actuator, that is because this actuator shares the same type of body but with a different motor and transmission inside. 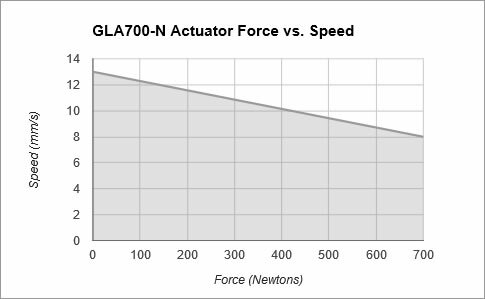 *A 700N maximum capacity is with a fully X-and-Y-axis supported load (no bending forces across the extending piston-rod). If the load is not independently supported against bending then the load rating should be reduced, down to 350N for a load with up to 100N across the end of the shaft. 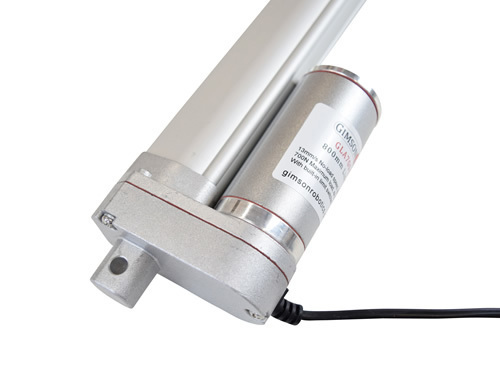 When the piston-rod is fully extended the proportional length of support provided within the actuator body is small which makes this actuator more susceptible to bending forces than shorter-travel actuators. 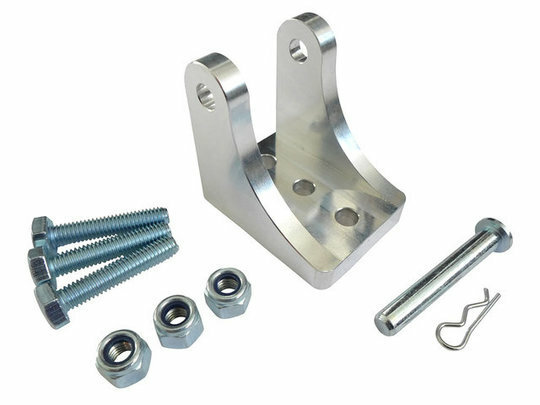 Use of drawer slides or other sliding supports can ensure that the full load capacity can be utilised. The long travel distance provided by the GLA700-N makes it particularly useful for automating 'expandable' features, as such it has been used before in travel beds, caravans and food vending carts. 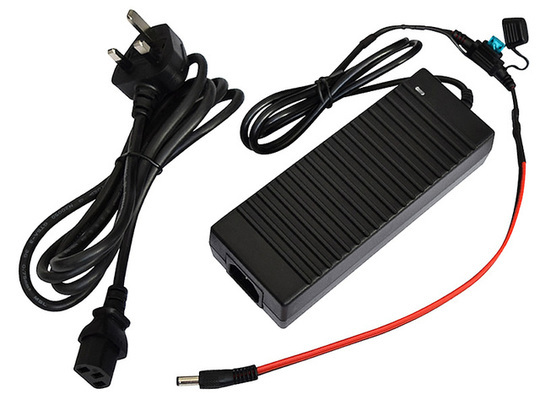 The operating voltage of 12V DC makes it suitable for powering from a lead-acid battery such as a car battery, or running from a mains to 12V DC adapter which are widely available. The maximum load should be reduced if the load is not supported in an axial direction, parallel to the movement of the actuator. Longer-travel actuators are affected to a greater extent by off-axis loads. Please be aware that there may some variation in the operating performance from actuator to actuator, as a rule-of-thumb allow for a 5% difference above/below the given values. If intending to use two actuators together to drive the same assembly connect them in parallel to the input current and ensure that the driven assembly is rigid enough to transfer forces between the actuators (so as to prevent twisting if one actuator is faster than the other). 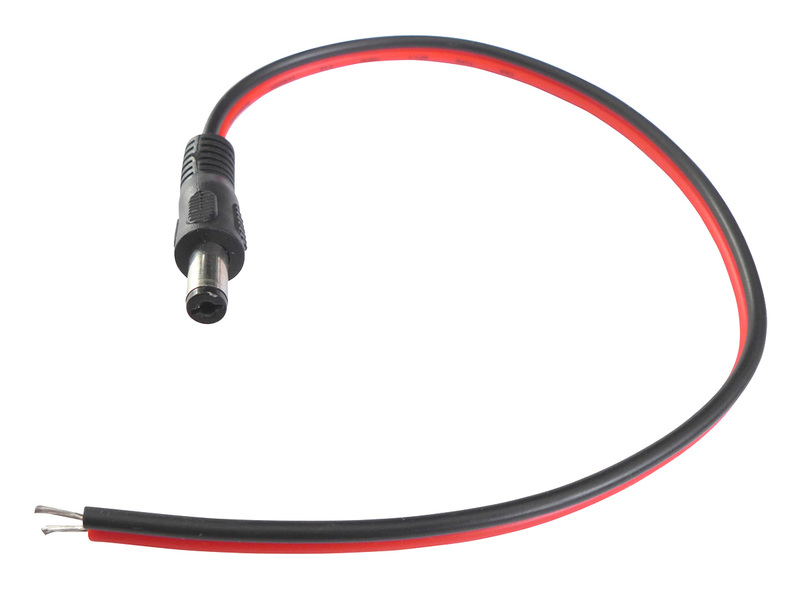 If your assembly is not rigid or needs to stay level with uneven loads (e.g. tabletop surfaces rising/falling level to the ground) then please get in contact to discuss automatic synchronising control options. If you have any queries about this item, including requests for bulk-pricing information or custom options, then please contact us.